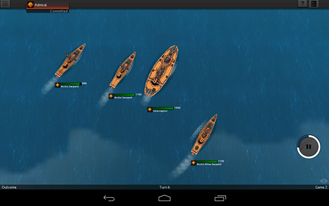 Leviathan: Warships Review – You Wouldn't Buy A Speedboat With A Hole In It, Right? The seas are a dangerous place, lads. The Marauders are thick amongst the waves, and you are but an inexperienced young commander, seeking to make a name at the helm of your fleet. 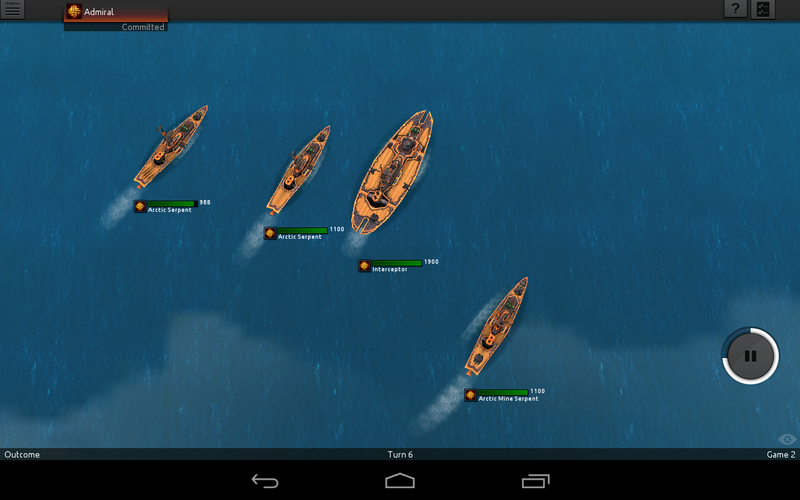 Your ships are heavily armed, but it's going to take more than firepower to stay afloat in Leviathan: Warships. This game is heavy on strategy, long-term planning, and attention to detail. As good as some aspects of this game are, the controls threaten to sink it before we even get out of dry dock. 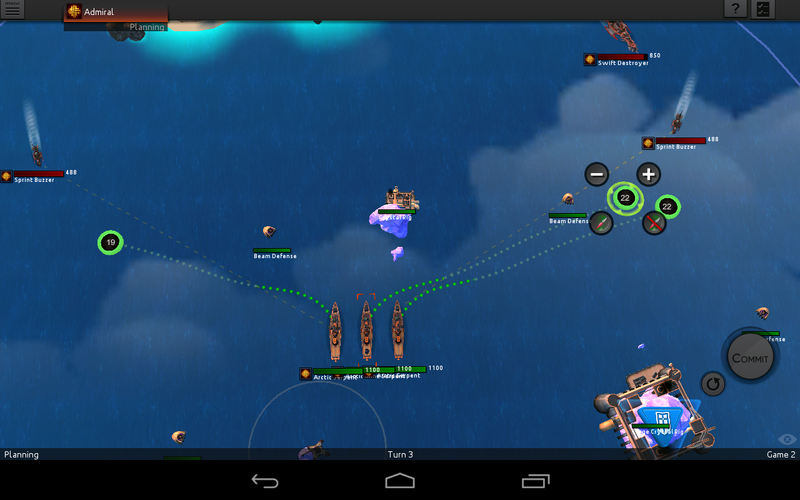 My first impression of Leviathan was that of another top-down real-time strategy game (RTS). 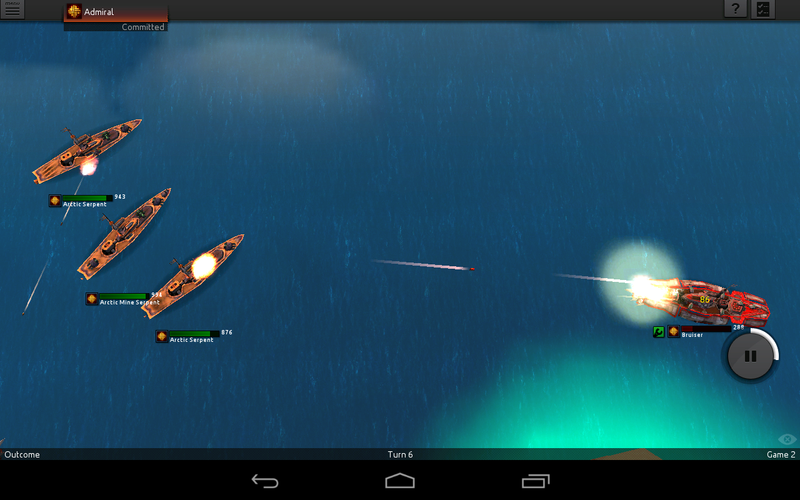 However, I will hand it to the developers for some smart decisions that make strategy work a little better on a tablet. This is not real-time – it's turn-based, but very smooth. You set up various actions in the planning phase – like attacks, waypoints, or just reorienting your ship, then hit the commit button and the game proceeds for 10 seconds. You can zoom in on the action, monitor your ships, and ponder your next move. You can't, however, queue up any actions until the next planning phase. You're basically playing a hybrid of turn-based and real-time games. The planning/outcome method of gameplay simplifies the experience, but that's not a bad thing at all. 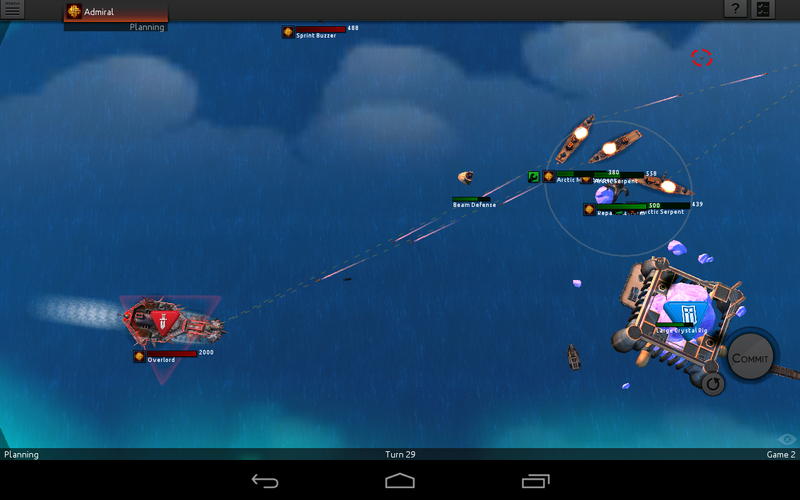 I often find that attempts at regular RTS fail on mobile because the controls aren't precise enough. The controls in Leviathan are similarly muddy at times, but the stop-and-go approach makes it workable. 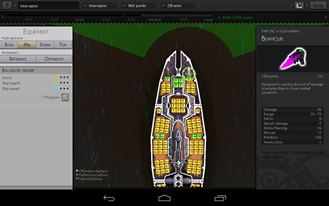 As you progress in Leviathan, you will unlock more ships designs and weapon types. When I figured out the game includes fully customizable ship building, I was floored. 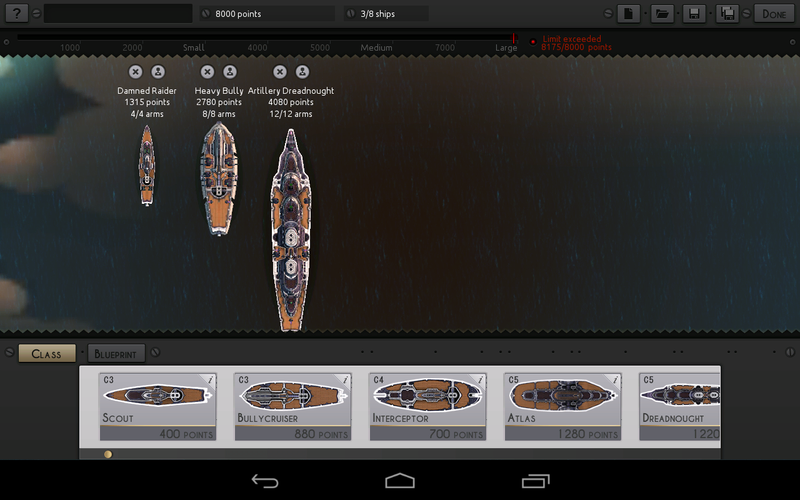 You get a certain number of points to spend on your fleet before each stage, with a small bump after a victory. 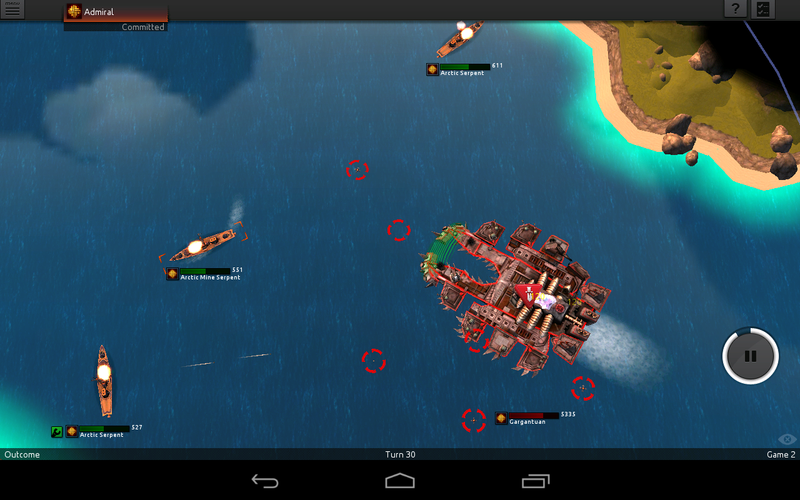 Simply buy hulls, weapons, and defenses to assemble as you see fit. This is really neat. As far as levels, there are nine offline campaign missions, which is a little light. 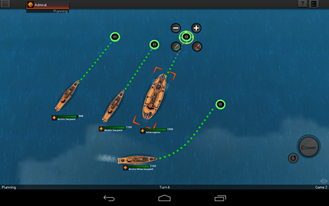 There are also a few challenges for a quick fix of nautical combat. It's a few hours of gameplay, but most of the value is supposed to come from the much more extensive online skirmish mode. The downside of the online play is that there really isn't any. I usually don't see any active matches. Hopefully that will change in the future. Speaking of those controls, there are both good and bad points to discuss. 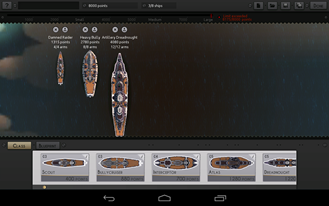 You can tap on any of your vessels in each planning phase to see what options you have. The forward and backward arrows will always be there, but the weapon load-outs vary from one craft to the next. To move, tap and drag on one of the arrows to set a destination. 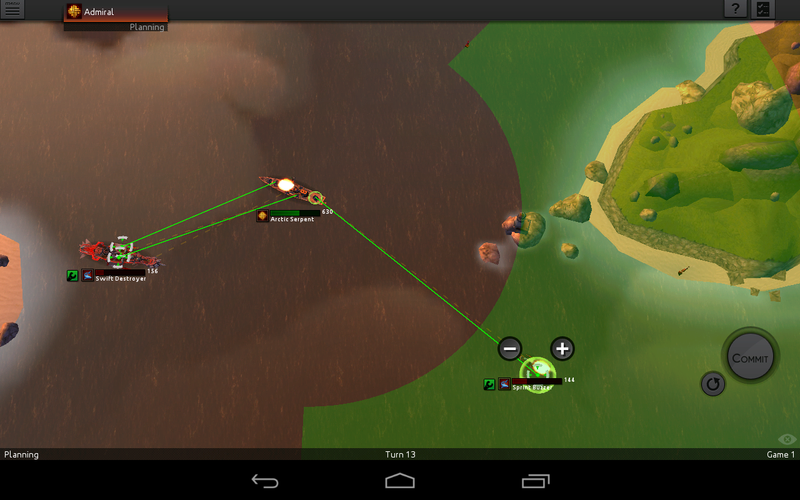 You can add waypoints after that with the plus button. The waypoint shows the number of seconds it will take to get there, so if it's longer than 10 seconds, it will take more than one turn. 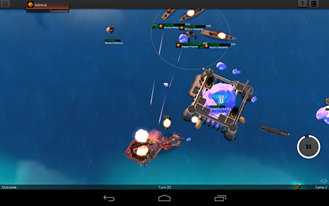 Tapping on a weapon mounting point gives you a target that you can drag in the same fashion, but some of your regular guns autofire at enemy ships. You can manually override, though. There's one thing I really like about the controls, and one thing I really dislike. In the 'like' column is the way weapons are laid out. 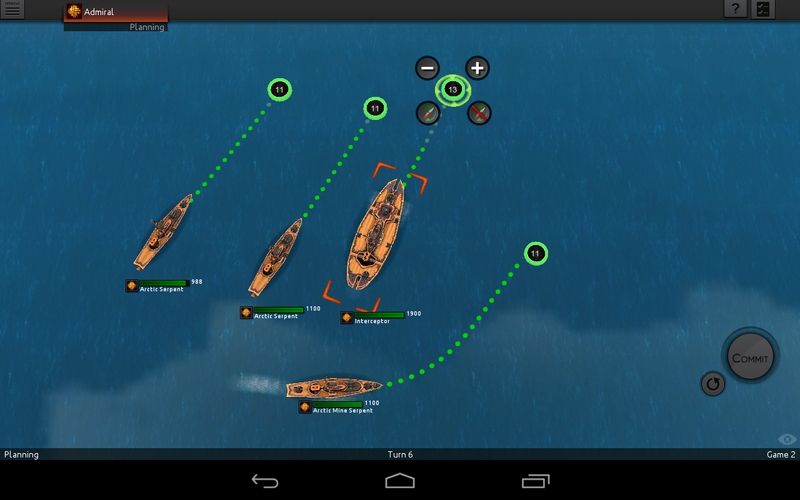 The placement of your ships matter in combat. If a powerful gun is mounted on the port side, but your starboard or stern is pointed at the enemy, that's not going to be a lot of help. Some turns all you're going to do is spin your vessels around so that you can bring the big guns to bear (this is a result of how you designed your ship). I think this brings a whole new aspect to the game, and it's great. The 'dislike' is that the buttons to control your ships are really, really small. Sometimes it takes a few taps before you get ahold of the right handle. I get that there are a lot of controls, but this game feels like it's retaining too much of its PC lineage in the button setup. It's not unplayable, but it's in desperate need of a UI update. I played this on a Nexus 7, though. So perhaps on a larger tablet the buttons will be easier to grasp. In its current state I find myself frustrated often. Leviathan: Warships is a tablet-only title, but it does not appear to be restricted to Tegra devices. As such, there aren't any extra-special visual effects, but it still looks reasonably good. The ships are visually super-cool, especially the more massive ones. You spend a lot of time staring at water in this game, and I wish the designers had done something a bit more impressive with it. Some wave effects, fluid movement... something. As it is, the waves just look okay. The textures used on land are solid, but there is some aliasing throughout that I feel should have been addressed before launch. 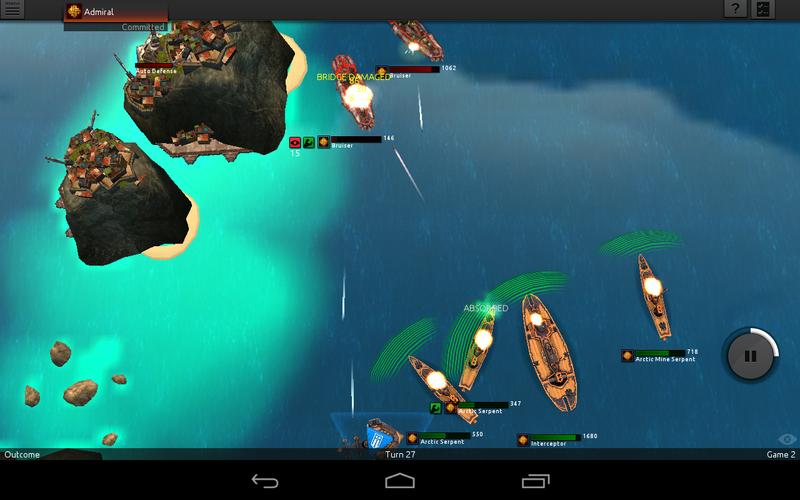 It makes an otherwise crisp game look a bit muddled when zoomed out. Performance on the Nexus 7 has been mostly good. I do see a spot of lag at the end of the 10 second action sequence from time to time, but it doesn't affect gameplay badly. I have, however, seen two crashes result from playing this title in recent days. I enjoy playing Leviathan: Warships overall. The strategic gameplay is compelling, but I can't entirely forgive the undersized controls. The other problem, and the one that keeps me from giving it a positive recommendation, is that it's expensive and relies too much on online play. Nine missions isn't enough offline content at $5, and no one is playing online. Yes, I realize this is a chicken and egg situation, but there's no reason you have to hang out and wait for the egg to hatch. 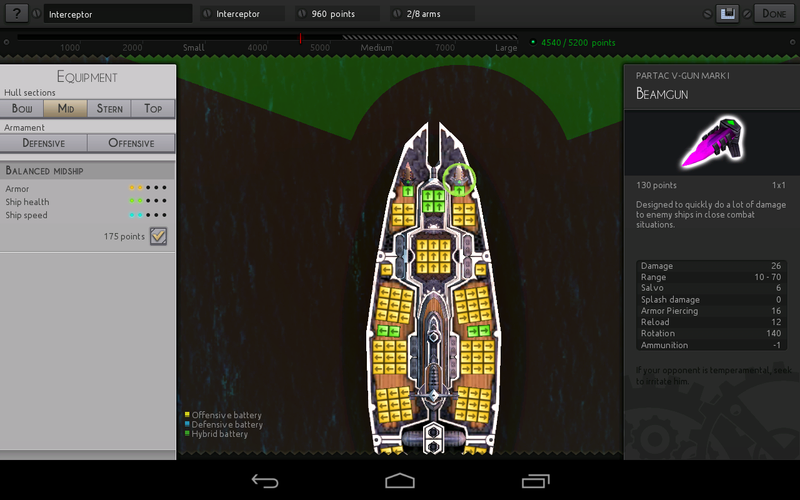 Leviathan: Warships has great potential, but it's going to need some refits before you take your maiden voyage.